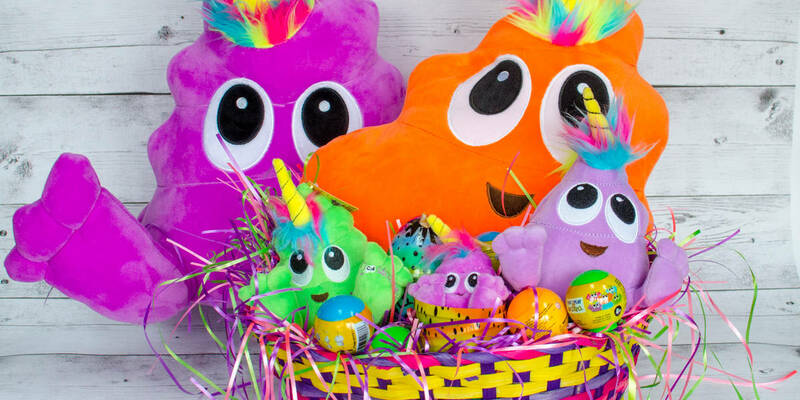 This Easter, put two of the hottest toy trends together in one basket with Poo-nicorns plushes and collectibles! 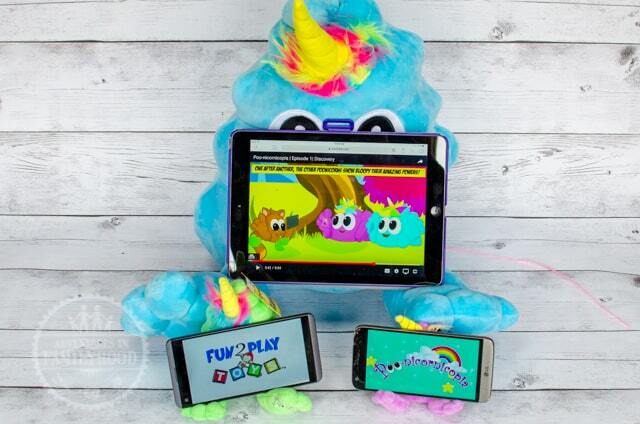 Toys from Fun 2 Play’s “Poo-niverse” check all the boxes for what kids are looking for in toys this year: Emojis… Unicorns… Potty Humor… Soft and Squishie… and Collectibles. Check out what a Poo-nicornicopia basket looks like! We were introduced to the “Poo-niverse” at Toy Fair in New York last month. Our new friends at Fun 2 Play toys were kind enough to send us a couple of baskets to review and we decided to give one of them away! Not too long ago, a poo shaped meteorite struck a planet filled with unicorns, dinosaurs and creatures of the sea causing an A-poo-calypse. The collision created a world that is filled with Poo-nicorns™ and other quirky, lovable creatures. 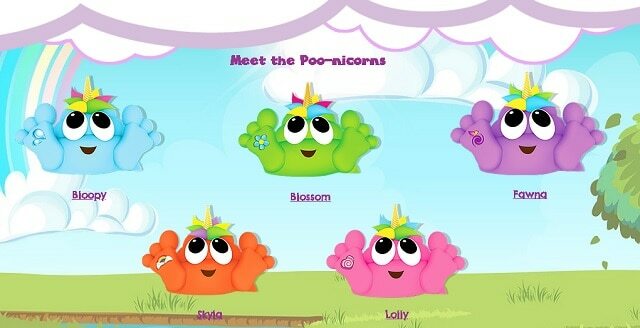 Join Bloopy, Blossom, Fawna, Lolly, and Skyla on their fun filled series of adventures through the lands of Poo-topia. Our daughter has always told us that there was a planet somewhere in the universe where unicorns lived. But I’m not sure she ever imagined that it was hit by a poo-shaped meteorite. Each main Poo-nicorn is a different color and, at least online in the webisodes, has a unique “poo-ty mark” which denotes a special power. Unfortunately, none of the toys have these “poo-ty” marks. 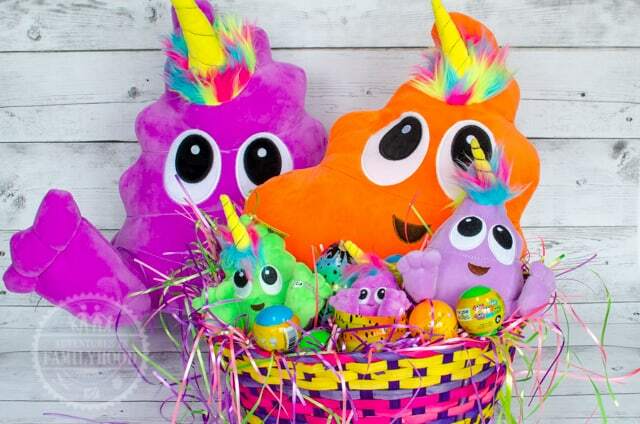 Poo-nicorns make great Easter basket choices for many reasons. You can mix and match from several different toys to make your own “Poo-nicornicopia” that is sure to please any child this holiday. Some Poo-nicorns can be on the large size, so a get a basket with lots of room! Our basket contained a well-rounded assortment of Poo-nicorn toys. Our basket contained 3 different poo-nicorn plush characters. 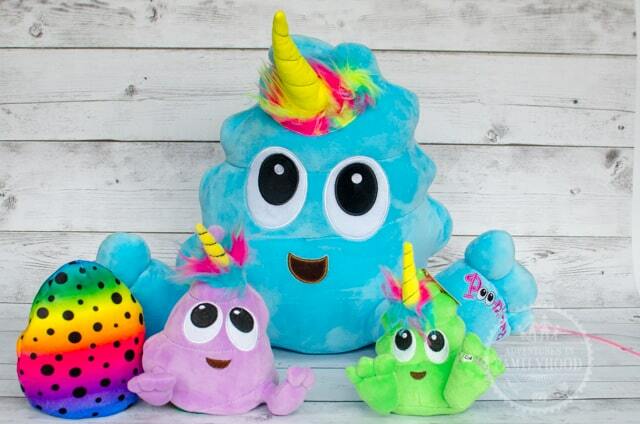 The blue one pictured above is a large 14″ poo-nicorn that has feet, but no arms. It also sports a horn and a colorful tuft of hair, as well as hair running down the back. There was also a 6″ size green Plushiez. For Easter, I especially like the purple Plushiez that could turn into an egg. This one is slightly larger than the 6″, and a little less rigid. 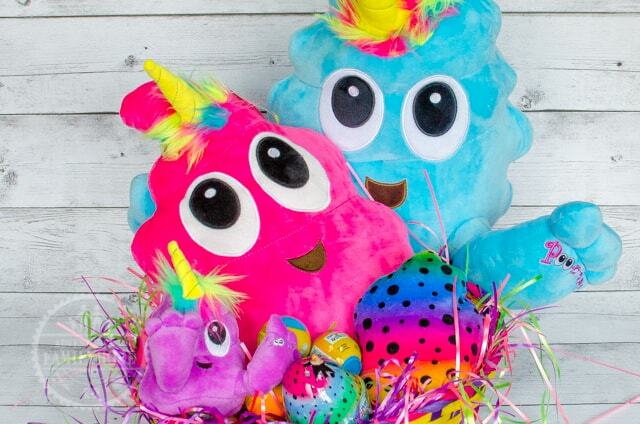 Ours wouldn’t stand up on its own as easily as the others, but it was a little bit softer and the transformation between egg and poo-nicorn added some extra fun! 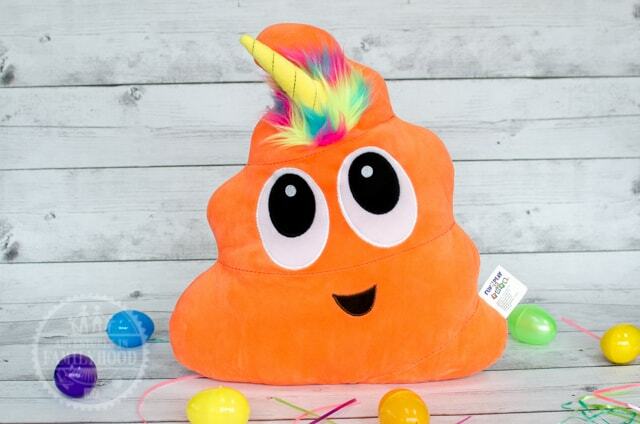 The poo-nicorn pillow differs from the plushiez in that it has no legs or hair on the backside. It makes a cute throw pillow and comes in each character/color. Droplings are Plushiez Pals that come in plastic eggs. This makes them a good choice for Easter baskets and adds that blind bag aspect to the fun. 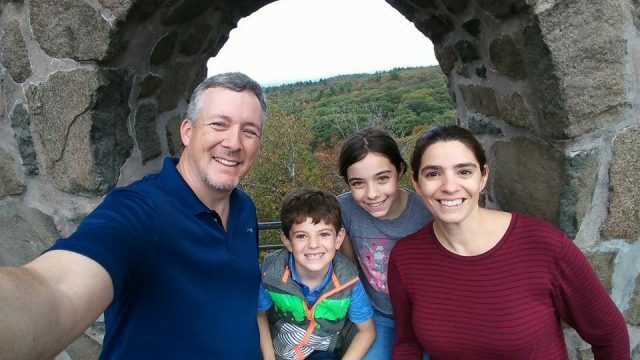 You don’t know which you’re going to get until you open it and see! 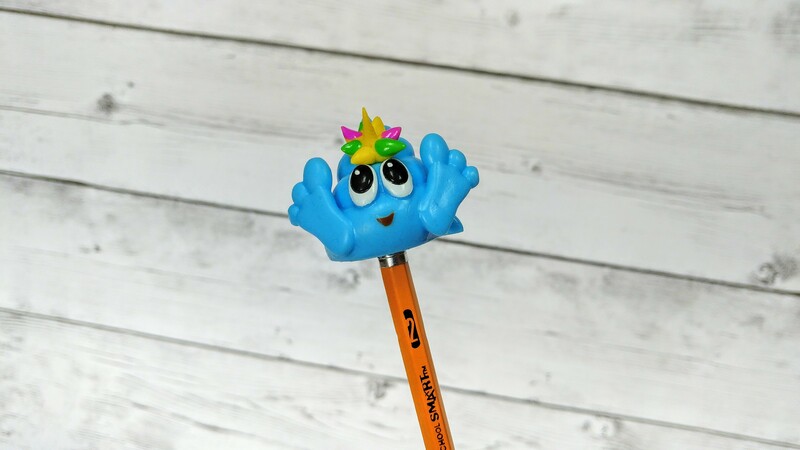 Each Droplings poo-nicorn has a clip so you can attach it to your backpack, lunchbox, or belt loop and take the fun with you! Droplings Eggs can also be added to your Easter Egg hunt. We usually fill our traditional plastic eggs with loose change. 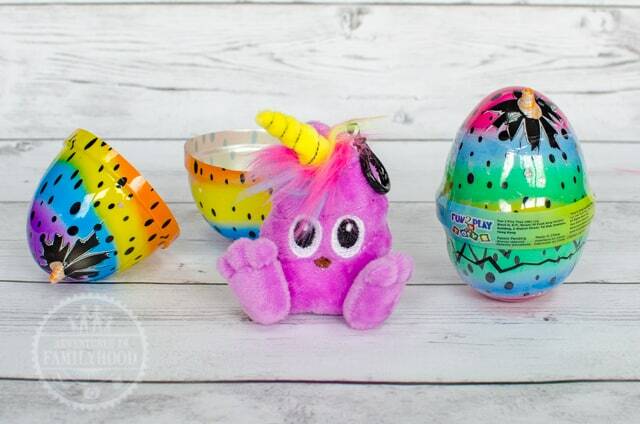 Having a special egg for the kids to find adds a little more excitement and gives them something they can play with right away. The smallest of the poo-nicorns, Squishies are collectibles that come in their own little plastic balls. 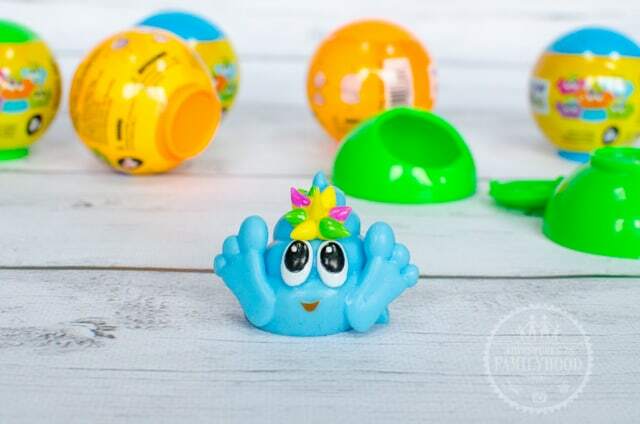 Unlike the droplings eggs, these containers are more sturdy and can be used to play with your Squishiez or to help display them. I like that they aren’t so squishy as to pick up every speck of dust, lint, or random hair they come into contact with. They are also not super tiny. There is a hole in the bottom of each which means they can be used as pencil/pen toppers. The episodes are cute, short, and each has a lesson to share. All you need to do to enter is sign up for our email newsletter. We’ll wait until 11:59pm ET on Monday, April 2nd to select a winner from our email subscribers! Good Luck!